France has launched a public-relations campaign to save bread from extinction. Despite having the world’s highest concentration of independent bakeries, the French are consuming less and less of their signature food, the baguette. The average Frenchman ate three loaves of bread a day (!) 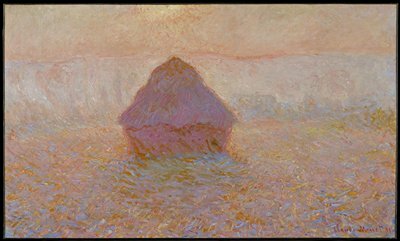 in 1900, about when Monet was painting his series of grain stacks in Normandy. Today, the daily dose is a half a loaf. Wine consumption is down too, and the last Gauloise cigarette factory closed in 2005. France, it seems, just isn’t as French as it used to be.